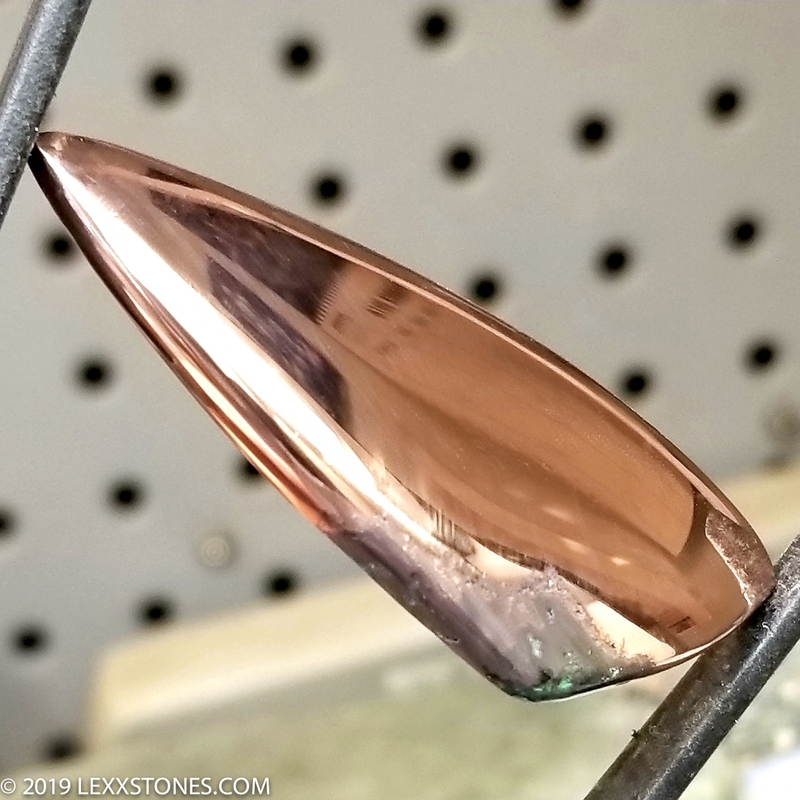 Here for your consideration is a stunning Native Copper cabochon. This raw nartral material exhibits shimmering metallic gloss throughout it's structure with minor inclusions.. It is quite sought after due to it's high copper content. 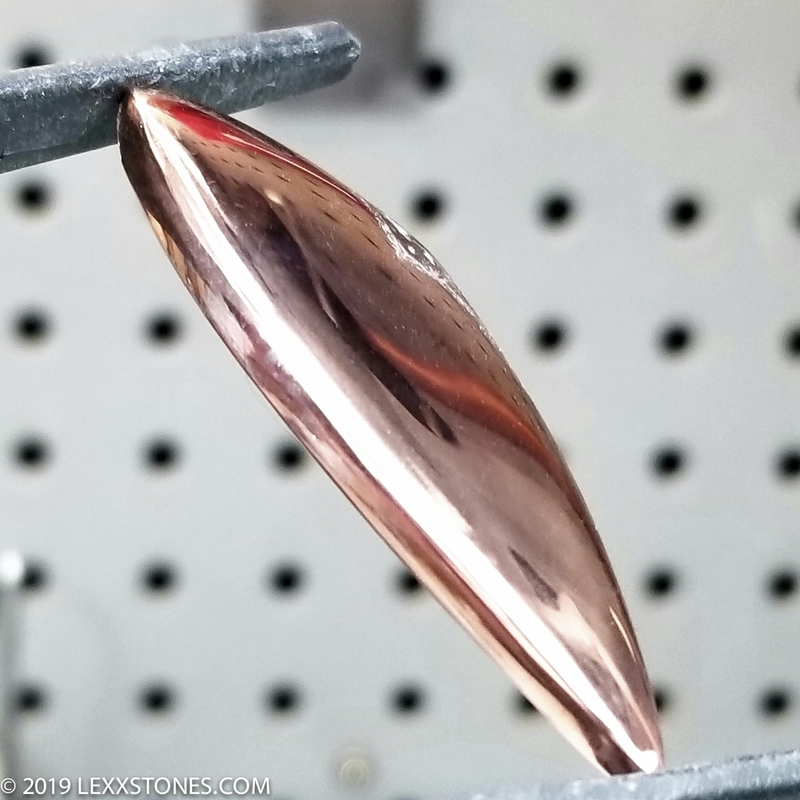 Copper is one of the few metallic elements to occur in nature. It's provenance, the mines of the Keweenaw native copper deposits of Upper Michigan were once the major copper producers in the 19th and early 20th centuries, and are the largest deposits of native copper in the world. 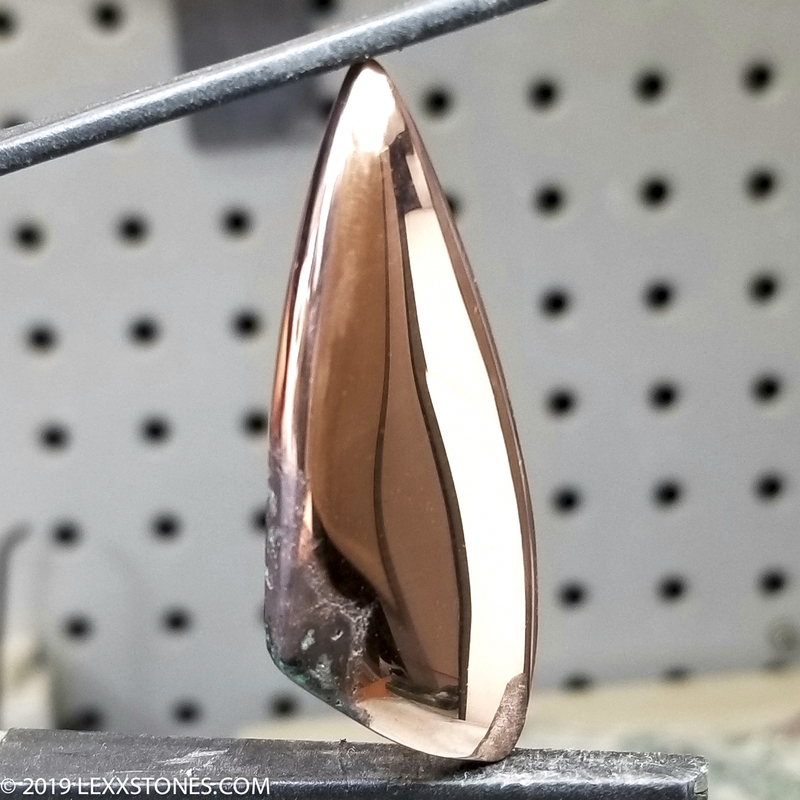 This unusual, weighty cabochon is a prime example of what rich copper ore looks like, right out of the mine. It's brilliant, cool and definitely something to brag about in your heirloom collectibles. Lustery reflective polish front and back. Low radius dome.Natural inclusions. All photos taken under full spectrum LED's. 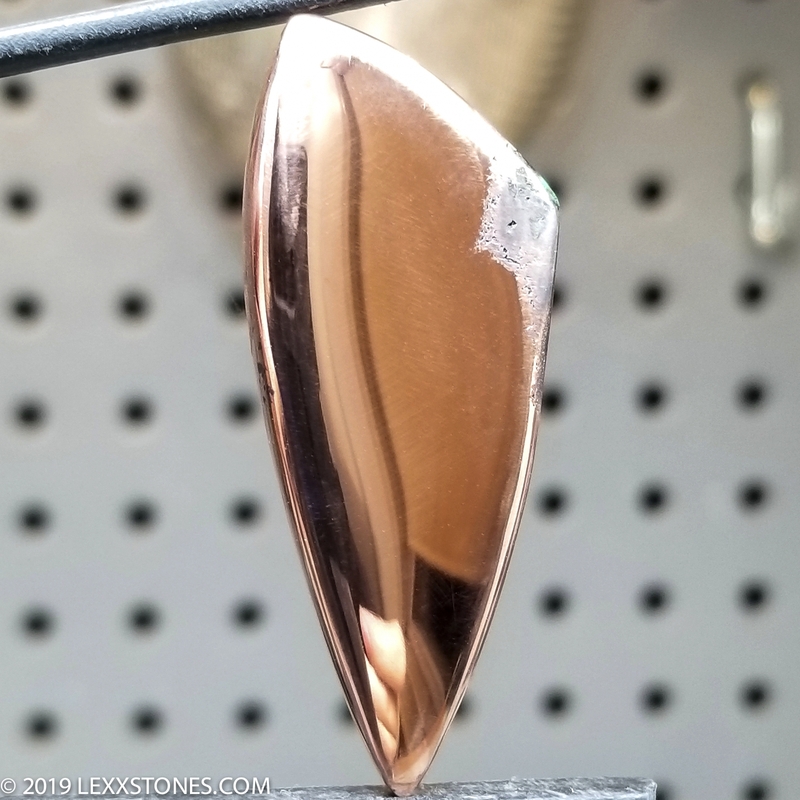 This attractive Native Copper will make a wonderful wire wrap or precious metal setting for a pendant. A fabulous collectible! This hand crafted cabochon is untreated and untreated. Hand cut and polished by Lexx.